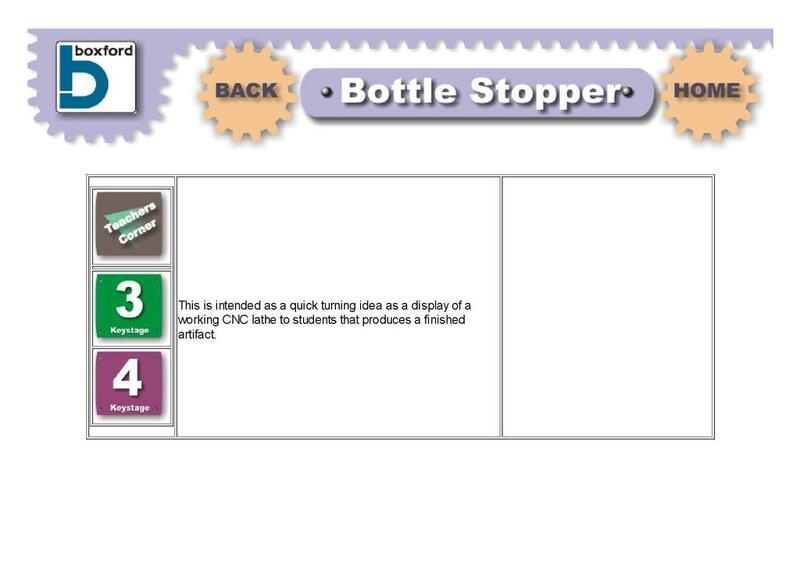 This resource from Boxford presents CAD files for a bottle stopper project made using a CNC lathe. These include the complete bottle stopper, the handle and the product minus the thread. It is explained how the product is made using two different pieces that are machined separately and then pressed together using superglue or epoxy resin. Approximate sizes are given for the three rings of the product. This is also illustrated in a photograph of the product. Curriculum links include the use of CAD/CAM in the design process and the use of CNC lathes when making products.